For most people the purchase or sale of a home represents the largest investment of a lifetime. Did you know that only 10% of people shopping for a new home have the vision to see their belongings in another house? Home Staging, Home Makeovers, and Home Updating in Lincoln brings a home to life and can be the key to creating an emotional connection in a potential buyer. Showhomes in Lincoln was a pioneer in home staging and continues as the leader in this fast growing industry. We began our home staging business in 1986 with the concept of transforming vacant houses - often seen by buyers as stale, lifeless, unappealing - into fully-furnished, inviting, valued Showhomes. Now in our third decade of home makeover service in Lincoln to Homeowners and their Realtors, we've become America's premier home staging service. Through our nationwide franchise network of home staging experts, Showhomes has helped over 25,000 Homeowners and their Realtors sell homes valued at over $8 billion! Home updating in Lincoln might be just want you need to get your home off the market. Our professional home staging managers can transform your home into a potential buyer's dream house. Every major national media outlet in the U.S. has praised the home staging work of Showhomes, and the company's work has also been featured on The Today Show, HGTV and the Travel Channel. Our management team, headquartered in Nashville, Tennessee, has broad experience in real estate, design, customer service and franchise operations. We're dedicated to bringing you unparalleled expertise, responsiveness, professionalism and results. Our Lincoln, NE team is happy to help you sell your house at a faster pace and at a greater value than you ever thought possible with home staging! Lincoln Showhomes has received the following awards and certifications. Showhomes in Lincoln matches high-end vacant homes for sale with people who have beautiful furniture, artwork, accessories, and need temporary housing. We can provide a live-in professional home staging manager in Lincoln who cares for your home and keeps it in show to sell condition while giving you the peace of mind that your home is safe and sound. What does all that mean to you? It means you get great home staging in Lincoln at a fraction of traditional staging costs paid at closing, a reduction in your overall carrying costs, care of your home from the inside and out, statistically faster sales, and significantly higher offers than a similar vacant home for sale. Showhomes in Lincoln also provides up to $5 million in additional insurance coverage for you and your home. A Showhomes Home Staging Manager is a person or family with beautiful home furnishings who lives in a vacant home for sale. They decorate the home so it has maximum appeal for potential buyers. These professionals are highly experienced in knowing what helps homes sell. In exchange for keeping it clean and letting realtors show the home, Home Staging Managers in Lincoln get dramatically reduced monthly fees, far below the market rate. Who is a Home Manager? Experienced real estate agents know that a quality home staging service can often make a house sell faster and increase buyer appeal. Vacant houses are often perceived to have a lower value than homes that are staged and can often receive "low-ball" offers from buyers who perceive that the owner is desperate to sell. Showhomes provides premiere home staging in Lincoln to help sell any house. Showhomes in Lincoln offers customized staging solutions tailored to each home. Home Staging options include design and decorating by staging professionals, whole house staging or partial home stagings as well. Our home makeovers in Lincoln can be the difference between a house that sells, and a house that sits. Home Staging is the most effective way to sell properties in today's market. Let our team of professional home staging managers transform your home into something buyers can't resist. Showhomes in Lincoln is America's Leader in Home Staging with a proven method to stage and market your home for sale. With 9 out of 10 buyers previewing or finding their homes online, presentation has never been more important. Home buyers need to be able to visualize their items and their life in a potential new home. A professional home staging helps create a welcoming environment that makes your home more appealing than vacant or non-staged homes. Statistics have shown that staged homes sell faster, bring higher offers, and create happier sellers. Home Staging in Lincoln is the best marketing strategy available with proven results. Showhomes in Lincoln knows no one wants to spend money on the home they are getting ready to sell. However, most buyers are looking for a move-in-ready house with fresh paint and flooring. Very few buyers want more work and expense to update the home they will purchase. To appeal to the broadest base of buyers and to increase the value of your home, a home updating in Lincoln can provide the greatest return on investment when selling your home in the area. Beyond basic de-cluttering and cleaning, Showhomes in Lincoln can assist with making these important changes for you. A few simple home updates can make your home more appealing, resulting in a better, faster sale. Updating your home is a key step to a beautiful home staging, and create the complete package of a gorgeous, ready-to-sell home. While that favorite shade of purple was perfect for you, it may be a turn-off for that potential buyer. Statistics show buyers are more interested in homes with neutral paint colors. With a Showhomes Home Update in Lincoln we can provide the perfect changes with our Exclusive Color Palettes, on-trend neutrals that provide mass appeal and won't distract from the outstanding features of your home. Your Showhomes home staging professional will help select the perfect palette for the look and feel that will place your home above the competition of similar homes for sale. Home updating in Lincoln should always include a fresh coat of paint! Historic District in Tampa. Owner & Realtor hired Showhomes to stage and sell quickly his listing. Done and Done! CONDO ,2 DAYS ON THE MARKET AND SOLD! Premier Sotheby Intl Realty, Paul Desantis is using ShowhomesTampa Bay to stage all his listings! We staged and sold this one in no time. Paul is moving to the next listing. Our Sucess Story is his Success story. This home was on the market for a year and Sold in a month after Showhomes Home Manager moved in and Showhomes Staged! "BEAUTIFULLY STAGED HOMES SELL FASTER AND FOR THE BEST PRICE"
A HOME W/ A MAKEOVER SOLD IN 3 DAYS!!! Our Home Makeover Service was done for this stately southwestern home in El Dorado neighborhood of Santa Fe, priced at $875,000 and SOLD in 3 days!! Two very savvy homeowners with a dated Highlands Ranch single family home. They updated the home and we staged it, which was the icing on the cake. Listed and under contract within 3 days. UNDER CONTRACT IN 5 DAYS!!! Showhomes North Charlotte provided a home makeover on this beautiful 1907 Victorian Farmhouse. This home went under contract in 5 days! Special home for a special buyer! This Quick Delivery Home by Toll Brothers sold in 30 days after being staged by Showhomes! We have had many successes with Toll Brothers and value their business. This modern townhome was on the market vacant for 4 months. We staged it to draw immediate attention to the pleasing sunroom and patio. The home received an offer from the first buyer to see it the next day - before the new photos were even posted! 80's kitchen needed a serious facelift. We demo'd the kitchen, installed new cabinetry and hardware, quartz countertops, a stainless steel apron sink, and a subway tile backsplash. What a transformation! Showhomes Denver Metro furnished a downtown Denver flat for an international executive to use one week per month when in town on business. Yes, we furnished it, soup to nuts. This is one of the services we offer. BEACH COTTAGE SOLD IN 2 WEEKS! This lovely New Beach Cottage had been on the market for 4 months with only a couple of showings. Once the home was staged and photos posted the traffic increased tremendously. The second weekend after staging the Homeowner received a cash offer and the House is now SOLD! Built in 2018, this beautiful 3392 sq. ft. home was a dream to stage. It was a vacant stage and we were hired to stage the first floor, as well as, the Master Bedroom Suite on the upper level. The first floor was an open concept with high ceilings. We were able to incorporate a home office, a wine room, living room and a large kitchen/breakfast area great for entertaining. Restyling a Greenwood Village condo for the holidays. Every living room has its own perfect layout. Depending on the space, the furniture, the light, the vibe - everything plays into how to lay out a living room. Whether you're home staging in Lincoln or just looking for a change, rearranging your living room can change the entire feel of the space and provide a much-needed update. Here's how to layout your living room with ease. The first thing is to come up with a plan for how you want to layout your living room. Keep in mind the point of why you're trying a new layout. Are you home staging in Lincoln so potential buyers will fall in love with the space? Or do you have a new piece you'd like to highlight? Make a plan for exactly why you're rearranging and keep that in mind along the way. Arrange, arrange, and rearrange! In the planning stage, you probably started with one or two layouts that you thought would work. Then you got into the arranging and realized the light hit certain things wrong, or the flow just didn't feel right. Arranging and rearranging is what living room layout is all about. Each living room is unique and can be served in various ways. Don't be afraid to try. Go with your gut and put each piece where it feels like home. Maybe your layout is perfect but you have a blank space that is just beginning to be filled. Or maybe you love everything where it is, but wish your couch was a little bit narrower to work in the space it has to be in. After you've arranged (for the most part) you'll be able to see any gaps in your decor that need can be filled with a new purchase or two. If you're home staging in Lincoln, you can hire the professionals to bring in whatever you need to make the space complete. If you're just doing a revamp, make a budget and get to shopping! One of the most important things to keep in mind when you're laying out your living room is how it functions. Think about how your family uses the space and the functionality it needs to have in relation to space. The key to arranging furniture to leave enough space but not too much. You want to keep pieces central to the congregation area close enough together so that conversation can flow easily. But you want to leave enough space so that you never feel trapped. Also, you'll want to work with the space you have and highlight it. Speaking of using the space you have, make sure everything is kept to scale. As an example, if you have a limited area for a couch - don't buy a huge couch. Get a couch that works in the space that's allotted without pushing the limits. Don't crowd the space with too many pieces and accessories. No one wants to feel overwhelmed by a room. This is particularly important if you're home staging in Lincoln - potential buyers want to feel at home in your space instead of stressed out. 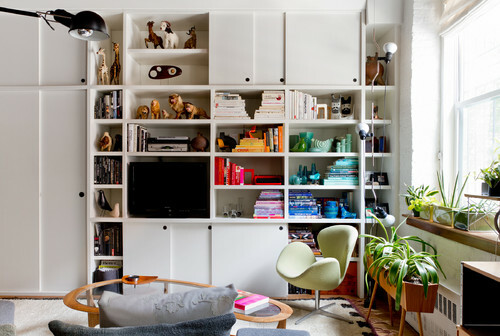 Have fun with your space and your furniture! Make it work and if it doesn't, get something new to spice it up! Looking for a new treatment option for your bedroom windows? If you've just moved into a new space or are looking to make your home brand new for potential buyers, updating window treatments can be key. When you're home staging in Lincoln, you want to make small improvements that potential buyers will notice and appreciate. Something as simple as adding modern window treatments can have a big impact. Here are some of the best bedroom window treatments for your home. Mix it up in your bedroom with two levels of drapery - one sheer and one opaque. Take a book from the pages of hotel design and give yourself instant window treatment options. During the day, either draw back both layers or keep the sheer layer closed to let light in. At night, close both layers for ultimate privacy. It might sound simple, but especially when home staging in Lincoln potential buyers love to see versatility and possibilities. One way to wow potential buyers, or just make your bedroom feel a little more royal, is to add luxurious fabrics and accessories as window treatments. Drapes made of silk can give your bedroom a romantic and luxurious feel while adding tassels, beads, or buttons will create a sense of royalty. Use heavy drapes in rich colors with metallic finishes for a stately ambience. Using shades in the bedroom is an excellent idea when it comes to window treatments. They offer an added layer of privacy but don't have to be boring. Window shades come in a variety of styles and materials to fit any space. Whether you're home staging in Lincoln or just updating your bedroom, investing in window shades can provide a large return either in comfort or in a selling price. When it comes to bedrooms, going with something like pleated, roman, or wooden shades can offer softer options for this space. Going for a dramatic floor to ceiling window treatment in the bedroom can make a space look larger than life. When trying to impress potential buyers with home staging in Lincoln, making a bedroom feel larger by using dramatic window treatments can really pay off. There are rooms where this type of window treatment won't work - if the space is particularly small a floor to ceiling treatment will become overwhelming. Plantation shutters are a beautiful option for bedroom window treatments. Not only do they provide another layer of privacy, but they add a whimsical and rustic feel to any bedroom. This might be an option that's above and beyond when it comes to home staging in Lincoln, but if you're investing in a renovation - custom shutters could be a great option to give your space an entirely new look. There are a few rooms that updates can be ultimately fruitful - whether through garnering an increased selling price by home staging in Lincoln or just by increasing overall value. Updating the master bedroom just by installing new window treatments is an easy and lucrative fix. Everyone can benefit from the value of simple home makeovers in Lincoln, NE. Making just a few updates to your home can not only provide a sense of revitalization, but potentially add value to it. 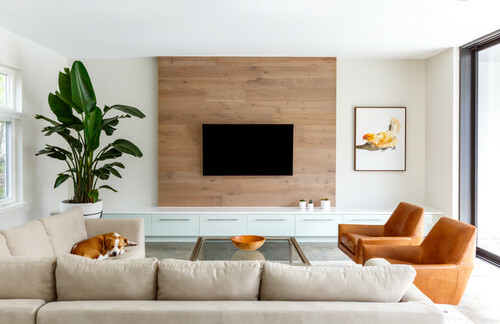 Deciding what to tackle in your home can be daunting, but narrowing it down to the most used and sought after spaces can help. Additionally, home makeovers don't have to be overwhelming - you can take on as much or as little as you're comfortable with. Do you have a small or awkward space in your home? Home makeovers in Lincoln, NE, can transform underutilized spaces into functional and value-adding areas. Make the most out of mudrooms by adding built-in storage cubbies for boots, coats, and outdoor gear. If you have awkward spaces in your attic that you're just using for storage, consider investing in a home makeover to provide additional living space. You can add bunk beds or tuck a twin bed into a sloped ceiling area and create an inviting guest space, while adding value to your home. An updated kitchen is one of the most sought after features in any home. Not only can an updated kitchen give your home a facelift, it can also save money. Updating old appliances with more energy efficient models can reduce monthly bills in addition to adding a new, sleek look to your kitchen. Home makeovers that tackle a kitchen renovation can quickly increase in budget, but there is a high probability you'll recoup your investment with added home value. One way to keep your budget in check is to revamp existing cabinets instead of completely replacing them. Something as simple as a coat of paint can drastically change the look and feel of your space. Light tones can make cramped spaces seem larger. And, remember to use any space you have efficiently for added storage. Home makeovers in Lincoln, NE, can get very involved, very quickly. However, one area you can update without living in a construction zone for weeks is your dining area. Has your dining set seen better days? Pick out some new pieces that match your style and center your makeover around them. 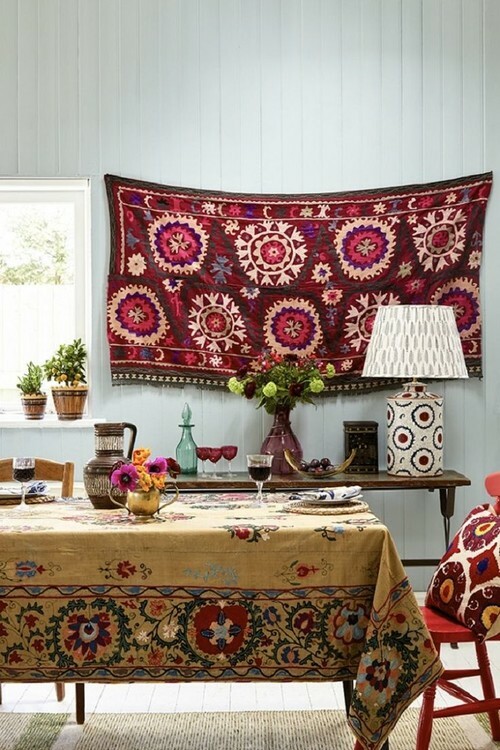 You can change your entire dining room in one weekend with a coat of paint, new dining set, and changeable decor like table runners and rugs. Don't forget to update lighting with new fixtures. Lighting can make or break a room. Consider the ambiance you're going for and find a piece that will provide the right amount and color of light. Any update you put into your home can provide return value over the course of time. Home makeovers in Lincoln, NE, don't have to cost a fortune to add value. The most important part of any updating project is to start with a clear plan and budget. Undertaking updates can be overwhelming but having a vision and sticking to it will make any project go more smoothly. Putting your home on the market can be an overwhelming and costly process. The last thing you want to do is drop lots of money on stuff for home staging in Lincoln when you're about to move. But, making sure your home is presentable to potential buyers is key in the selling process. Not only will your home be swept off the market quicker, you could even benefit financially in the end. If your home is one of the many to offer an office space, you definitely want to highlight it! More and more people are working from home, or brining their office jobs home with them. Showcase your space with an updated and productive office environment. You don't have to drop a ton of cash on fixing up your office space. Something as simple as a new chair can make a workspace feel completely different. So, here are some thrifty options for updating your home office chair. Chairs are some of the easiest things to find at thrift stores, vintage shops, garage sales, and flea markets. As long as the chair has "good bones," you can fix it up and use it in home staging in Lincoln. If you're not as crafty as you'd like, look for chairs that are mostly wood. Anyone can sand and stain or paint with a few supplies and some elbow grease. If you're a seasoned DIYer, don't shy away from chairs that feature upholstery. Re-upholstering a chair isn't the easiest but also doesn't have to be hard. Chairs that have removable upholstered seats are perfect for refinishing. Just pop out the seat, tear off the old materials, stuff, wrap, and staple. Voile - a perfectly good home office chair to feature in home staging in Lincoln. These options are fashionable and affordable. You'll usually find them under the accent chair heading, but they can serve a dual purpose as office chairs, too! Basil Side Chair - Wayfair, in three color options. Feldman Upholstered Slipper Chair - Wayfair, options for upholstery type and color. Simple Living Tufted White Faux Leather Guest Chair - Overstock, color options available. More than your typical office chair, these functional yet sophisticated options are perfect for home staging in Lincoln. Ripple Mid-Back Office Chair - Overstock, in several color options. High-Back Mesh Executive Chair - Wayfair, available in black or red. Ginseville Desk Chair - Overstock, various color options. The options are nearly limitless when it comes to finding the perfect home office chair to complete your home staging in Lincoln. Whether you opt to DIY a treasure that you can take with you or select a cheap option you may leave behind, your potential buyers will appreciate your efforts. Happy hunting! Getting your house ready to go to market can be costly. But there are easy ways to prepare for home staging in Lincoln that won't add to the financial stress of moving. If you have a pool or spa in your backyard, you're already ahead of the game when it comes to added home value. It doesn't take a ton of work to make this much sought after area a little bit more enticing to potential buyers. Here are some easy, and cost effective, ways to upgrade your pool or spa. Landscaping can go a long way when it comes to sprucing up an outdoor pool or spa area. Simply having manicured and healthy grass can make a world of difference. Beyond that, planting a few colorful and relaxing plants around the pool can add to the overall allure. Make sure to trim any nearby trees or bushes and clean up your kids' toys if they're scattered around. Adding some LED lighting to your pool or spa area is a thrifty way to make a simple pool seem extravagant. Install colorful LED lighting below the water or anywhere around your pool or spa space. It can be cheaper than traditional flood type lighting and provides a more luxurious and upgraded feel. Potential buyers will be impressed and more likely able to see themselves enjoying the simple luxury of a colorful backyard focal point. While retiling your entire pool area might not be in your budget, adding a line or two of new and modern tile to your existing outdoor area could make a huge impact. If the rest of the surface around your pool or spa is relatively up to date, throwing down some unique tile will show potential buyers that care was put into home staging in Lincoln and preparing your home for sale. If your existing tile or surface isn't that great, skip this - especially if you can't afford to replace it all. This might sound like a budget buster, but adding a water feature to your pool or spa can be easy and affordable. Most water features like waterfalls, scuppers, and sprayers, are easy to add to existing pools. While this addition is on the higher end of a home staging budget, they can also have a more dramatic impact when paired with landscape. Everyone wants their own personal tropical oasis in their backyard and water features exude luxury. Salt water pools are becoming more popular and common. Not only are they easier to maintain, salt water is gentler on the eyes and skin. These systems use salt instead of chlorine to treat the water and keep it clean. With a salt water system, you don't have to worry about handling dangerous chemicals. It doesn't cost a ton to switch your traditional chlorine pool to a salt water system, but again could provide a great benefit when selling. If your house is on the market and you're looking for some easy ways to make it buyer ready, you don't have to spend a fortune. Sprucing up existing features of your home and putting in a little sweat equity through home staging will pay off in the end. Home staging in Lincoln is the perfect way to show potential buyers the best of your beloved home. There are lots of things on home buyers lists: good schools, greenspace, garages, curb appeal, etc. But one of the most-sought after luxuries is an up-to-date bathroom. If you’re putting your home on the market and preparing for home staging in Lincoln, you don’t want to spend a ton of cash updating your bathroom. But you do want to make sure potential buyers are interested in your home. A simple way to give any bathroom a new and modern feel is through changing tile. Here are some great bathroom tile styling ideas for your home, whether it’s on the market or not. Step into a whole new world just by using some creative bathroom tile styling. Many times, sellers are advised against trying unique ideas when they’re home staging in Lincoln. However, by adding some subtle worldliness to your bathroom, your home could stand out from others on the market. You don’t have to go over the top when incorporating a worldly vibe into your bathroom. Select some subtle tiles that are reminiscent of Mediterranean shapes or choose a few bold tiles to dot throughout the rest of your simple tile pattern. A unique way to make your bathroom stand out to potential buyers is by using a type of tile they may have never seen before but will still love. A recent trend in tile has been 3D – tile with a visual and tactile effect. A great way to keep your space simple yet interesting is to use a 3D tile in a muted color like white, off-white, or light gray. This will keep the element from overwhelming potential buyers during home staging in Lincoln, yet provide just enough flair to keep them interested in your renovated space and home. Simple white is a traditional staple in bathroom tiles. Getting creative with shape, pattern, and placement is where you can flourish when it comes to traditional white tile. A new and edgy trend in bathroom remodeling is to use all black tile. This can create a very modern and sleek look but should only be tried in larger bathroom spaces with lots of natural light. Harken to a simpler time by using both black and white in your bathroom revamp. Alternating black and white tile evokes images of old Hollywood and gives any bathroom an elegant flair. In addition, there are several tiles featuring bold black and white patterns that you could use to spice up your space. What’s the first thing people notice about a bathroom? Probably not the floor, unless some really interesting tile has been thrown down! Focusing on the floor in smaller bathrooms is an excellent way to incorporate a unique or bold vibe into any space. In small spaces, you can also add a high-end aspect to your bathroom through marble or natural stone. If you’re reworking a smaller space, you’ll save money due to square footage but also improve home staging in Lincoln with your high-end selection. Potential buyers will be impressed and appreciate the value it adds to the overall home. If you don’t have a small space or the budget to entertain this type of tile, seek out a unique shape for a reasonable cost. Using unusual shapes on the bathroom floor is a way to incorporate personality without overwhelming potential buyers. Whether you’re focused on home staging in Lincoln, or just looking for an update, switching out bathroom tile is a great way for a refreshing change. While you’re at it, don’t forget to throw in a new rug or towel set that compliments your new tile for an extra touch. Are you looking to put your home on the market? If so, you’ve probably already considered home staging in Lincoln. Making sure your home is inviting and impressive to potential buyers is a critical part of the selling process. Getting your house cleaned, organized, and tour-ready is a must if you’re planning on putting it on the market. One of the most common places to collect clutter is the home office. If your office is full of papers, boxes, and general mess, you’ll need to get it together before showing it off. While you’re at it, why not consider a small revamp to impress potential buyers? Here are some great ideas for inviting home office styles. Updating a home office to a modern style is as easy as a trip to IKEA. Sleek lines and industrial vibes are sure to please potential home buyers as they tour your space. If you’re updating to a modern look, make sure it works within the overall feel of your home. If the rest of your home is rustic, tossing a modern home office in the middle might be a little jarring. But feel free to incorporate modern elements into any home office, like metal lighting and storage options. Nothing beats a classic home office. When home staging in Lincoln, consider your audience. Is your home suitable for an older set? If so, a classic home office might appeal to potential buyers. Think strong, dark, and wooden when designing a classic home office. Heavy desks and executive wooden chairs with leather accents work well in a classic theme. In addition, considering what is adorning your walls. If you have certifications or diplomas lying around, get them framed for an easy and impressive decorative touch. A home office shouldn’t have a rigid and corporate vibe. The beauty of a home office is that it’s in the comfort of your own home. So, give it some personality. Is the rest of your home outfitted with a vintage and rustic theme? Carry that into your home office. When you’re updating for home staging in Lincoln, head to discount home décor stores to score rustic home office accessories. Stores like Home Goods offer lots of options for organizers, shelves, and even office furniture in varying styles. Pick something that says comfort and concentration and go for it. Maybe you don’t have the time or energy to devote to updating any space in your house pre-move. Not to worry! Professional home staging companies can make your Lincoln home ready for potential buyers to tour in no time. Companies offering home staging in Lincoln can focus on one room, or the whole house, depending on what your needs are. They’ll bring in new materials, arrange, and organize in ways that will best benefit you and your bottom line. Potential buyers not only respond better when viewing a staged home, they are likely to pay more for the property. If you have any questions about home staging in Lincoln, contact Showhomes for more information! Are you in the process of updating your home? Kitchen islands in Lincoln can increase the value of your house and the efficiency of your kitchen! Adding an island to your updated kitchen not only provides extra prep and gathering space, it gives your space an overall feeling of class and complexity. But, when it comes to kitchen islands, the possibilities are endless. Where do you begin? First, you’ll want to decide if you’re going to DIY your kitchen island, or have it installed by a professional contractor. Here are some great options for either path! Don’t have the budget or the bother to turn over kitchen islands in Lincoln to a contractor? Not to worry. There are several DIY and non-permanent options on the market. Creating a beautifully unique and budget friendly kitchen island can be as easy as repurposing an old piece of furniture. Find a sturdy and tall table, add another shelf to the bottom and some spindles on the sides. Voile! Brand new kitchen island. Or, you can try this unique take by using two old dressers with a large top piece to create a folksy but functional piece for your kitchen. Not into DIY? No problem. Major retailers offer kitchen islands in Lincoln that are easy to assemble and easy to move. Many options have wheels included on the bottom for easy transport. Of course, you’ll want to make sure the wheels are lockable so the island doesn’t fly out from under you while you’re in the midst of furious dinner prep. Home updating in Lincoln can get costly, these ideas are easy on the budget and quicker than hiring someone else to complete the project. If you have the money to sink into home updating in Lincoln, you might want to consider paying someone to build a custom kitchen island for you. A kitchen island should serve three purposes: additional prep area, additional storage space, and additional gathering space. By working with a contractor, you have more say over the colors, materials, and unique ways you can incorporate these main elements into your custom kitchen island. Keep in mind “island” doesn’t actually have to be independent from all the walls in your kitchen. If you have limited space but still want a functional island and bar area, you can elect to install a peninsula that has seating for several but also serves as a prep space for the main kitchen area. Top it off with bold bar stools to complete the look. Kitchen islands in Lincoln are on trend and getting more popular. In addition to rising in popularity, the size of kitchen islands is increasing. They’re becoming a focal point in homes where people gather during every day interactions and large gatherings or celebrations. When considering home updating in Lincoln, you want to keep the addition of a kitchen island in mind. Not only will it increase the value of your home, it might even increase the opportunity to spend even more time with those you love. And that is priceless. The offer on your dream home has been accepted and there’s so much to do. You’re contacting painters, movers, landscapers… But what about selling the old place? Home staging in Lincoln is one of the most effective ways to get your property off the market and off your hands. By doing just a little bit of work or hiring a company like Showhomes to professionally stage your place, you’ll reap the benefits with a quicker and more lucrative sell. Making sure your former house feels like a home when potential buyers walk through the door is crucial to the selling process. Home staging in Lincoln can be beneficial not only for buyers to picture themselves in a future home, but it gives you an advantage that other sellers may be ignoring. Having a well-maintained property that is clean but feels lived in will make potential buyers more confident in their decision and allow them to successfully picture themselves and all of their belongings in each room. Here are some tips for home staging in Lincoln. 1. Neutral Works. People hate having to think about re-painting or re-carpeting an entire house. You might love bold colors, but if you’re trying to sell a home, neutral is best. When completing your home staging in Lincoln, work with neutral colors from bottom to top. Switch out dark curtains for lighter ones. Paint the walls a crisp off-white. You can add subtle pops of color, but keep the big things neutral. This allows people to imagine their own tastes throughout. 2. Open Up. Showcase your closets! This might seem counterintuitive, but if you have great closet space, keep the doors open for potential buyers to see. Closet space is one of the most sought after features, so don’t feel like you have to keep everything closed. If you’ve got it, flaunt it. Just be sure to clean and organize first! 3. Facelift the Front. Invest in curb appeal when home staging in Lincoln. Slap a new coat of paint on the front door. Trim the hedges. If the weather allows, plant some new flowers out front. Do what you can to make your home in Lincoln seem inviting and presentable from the moment someone pulls in the driveway. 4. Play Up the Dream. People love to imagine themselves entertaining all of their friends in a home. Play up the social aspects of your home. Have a great backyard? Make sure it’s fit for a party when any potential buyer comes through. Update any worn out outdoor furniture. Light a fire pit. Add subtle outdoor décor. Make them see themselves on a chilly fall evening around the fire with friends. 5. Freshen Up After Fido. Pet odors can be one of the most off-putting things when potential buyers visit a home for sale. Many pet owners become accustomed to the smell of their beloved pets and don’t even realize the possible home hazard. If you have a furry friend, ask someone who doesn’t live in or frequently visit your home to come and offer a smell evaluation. If needed, freshen up the house and get rid of any pet odors before potential buyers arrive. But, what if you’ve already started the moving process and most of your stuff is gone? A company like Showhomes can make your former house feel like a home with ease. By providing the best in home staging in Lincoln, Showhomes allows you to enjoy your new dream home without worrying about how to properly show and sell your old one. Whether you’re taking on the task of home staging in Lincoln yourself, or handing the job over to a company like Showhomes, you’re making the right decision. A perfectly staged home can bring the right buyer and the right seller together every time. With the temperature dropping, it might not seem like an ideal time to start thinking about outdoor furniture in Lincoln. But, if you get a head start on spring planning, your outdoor space will be the place everyone wants to spend those precious summer nights next year. Selecting outdoor furniture made of teak wood is not only on trend, but a smart buy. Teak is a tropical hardwood famous for its durability and water resistance, which makes it a perfect choice for outdoor furniture in Lincoln. You should still take measures to protect your pieces during brutal winters, but it’s a solid investment on a set that will be with you for years to come. Due to its durability and popularity, teak can often be on the higher end of the budget, but several manufacturers make various options. Pottery Barn offers some sets on the higher end, while Wayfair has options to fit more budgets. A must-have to accompany your outdoor furniture in Lincoln is a fire pit, especially to get every last night out of those chilly fall months. The options for fire pits truly depend on the space you have to use them. Standard metal, self-contained fire pits are economical and perfect for spaces where you have open yard or concrete. They come in all different styles and sizes and are great for limited budgets. If you have a little bit of money to throw down, consider an upgraded fire pit like a gas-powered fire bowl. These options are typically made from stone or stone-like material and are appropriate for most decks. An even more on trend option for an outdoor fire source is the fire table. Depending on your budget, you can customize your fire table to fit the theme of your outdoor furniture in Lincoln. Since you’re already starting to think about your outdoor furniture in Lincoln for 2017, you have time to create your own one-of-a-kind pieces! There are several ways to make beautiful items for your outdoor space – all you need is just a little bit of time and the desire to DIY. Maybe you want to leave the actual furniture construction to the professionals, but that doesn’t mean you can’t get crafty with some accessories. You can always use more cold storage for beverages during your outdoor festivities. Try your hand at a standing cooler made from pallet wood. Another functional and fashionable option using pallet wood is a combination bench and planter. The options are only as limited as your imagination when it comes to DIY outdoor furniture in Lincoln! Check out these additional unique DIY ideas. Maybe you’re already thinking about your outdoor furniture because you’re planning on selling your house in the coming year. Having an attractive outdoor space is a huge draw for potential buyers. If your current outdoor furniture has seen better days and your landscaping is in crisis, don’t worry. Home staging in Lincoln could offer the perfect solution to your outdoor problem. Home staging companies can spruce up indoor and outdoor spaces for those ready to sell but not ready to put in a ton of work to get their properties buyer-ready. Making sure your home, including its outdoor entertaining area, is in sellable condition is key. Contact Showhomes for more information on home staging in Lincoln and beyond! Who says a bedroom must be boring? Finding ways to highlight your personality by using unique bedroom themes in Lincoln can be as easy as a trip to your local shopping center. Your bedroom is your sanctuary and it should reflect your interests and lifestyle. Are you in love with bygone eras? Do your proclivities tend toward the dramatic? Anything is possible when it comes to decorating and making your space your own! Here are some interesting themes for your next bedroom redo. Harken back to a more ornate time by choosing a Victorian bedroom theme in Lincoln. Choose classic prints like damask and florals for wallpaper, rugs, and bed dressings. If you have the money to spend, invest in quality furnishings. Nothing screams Victorian era like an ornate, four-post bed made from solid wood. Dressers and nightstands should match the wood, stain, and decoration of the bed, as well. If you have the space, find a gorgeous upholstered chair in a fabric that matches the rest of your bedroom accoutrements to finish off the look. Your friends consider you to be the life of the party. Incorporate that style into your bedroom theme in Lincoln. Choose a palette of bright and bold colors that are complimentary and cohesive. Once you’ve selected your color palette, head to the nearest home improvement store to find the perfect paint. You don’t have to paint every wall in the room. When working with bright colors, it’s easy to go overboard. You want to highlight your spunky personality, but keep it mature. If you’re going bright on all your walls, keep your duvet and curtains simple with patterned white. If you’re only going bold with one wall, feel free to play around with other accessories throughout the room. Considering searching local garage sales for side table set that you can refinish into a bright and beautiful set for your bedroom. If you have more full passports than you can count, why not let your home base reflect your worldly ways? Incorporating travel elements into your bedroom theme in Lincoln is easy. There’s no doubt you’ve been collecting mementos from your adventures. Take the small items that you can’t seem to find a space for and use them in shadow box displays to decorate the walls of your traveler’s retreat. If you and your honey are a traveling team, mark your journey with a customized map. Keep the color of your walls simple but get worldly with curtains and linens. Unique bedroom themes can be fun, but what if you’re trying to sell your home? Realtors suggest keeping things simple for future buyers. No buyer wants to come into a bedroom with shag carpeting and gold foil wallpaper despite your burning desire to relive the ‘70s. Not to worry, you’re free to be individual and can still sell your home quickly. Companies that offer home staging in Lincoln can turn your unique spaces into buyer-friendly rooms. With a more neutral vibe, potential buyers can see their own identities in the new space. 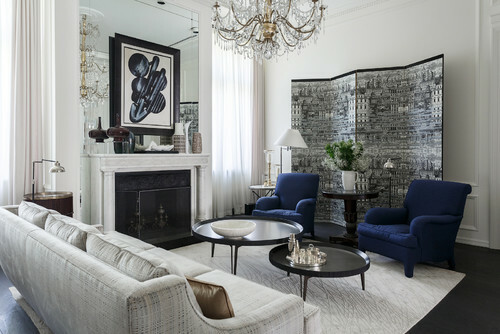 Buyers love being able to see their unique pieces and sense of style in any home their looking to purchase. Home staging in Lincoln does just that – provides a more blank slate so creativity can flow! Whether you’re a world traveler, bold and beautiful friend, or living outside your era – there is a bedroom theme in Lincoln to fit your taste. The fun part is narrowing down your preferences and executing a wonderful design! The bathroom is one of the easiest rooms in your house to update. Just a few quick changes can offer beautiful bathroom makeovers in Lincoln, NE, at as little or as much cost as you like. By purchasing a few new items, or creating a unique masterpiece from a DIY tutorial, your bathroom can take on a whole new vibe in just one weekend. As bathrooms are typically smaller than other areas of the home, it doesn’t take a lot of effort to give them a fresh look. 1. New stuff, new look. The easiest way to start bathroom makeovers is to buy new accessories. You can change the entire color scheme of your bathroom just by switching out rugs, shower curtains, and sink accouterments. If your bathroom has neutral fixtures and furnishings, select a bright or bold theme for your accompanying accessories. If you have an entire day to devote to your project, slap a new coat of paint on the walls. But remember, if you’re working in a small space, keep it light and airy. Dark colors make small areas seem even smaller. 2. Organize it! Bathrooms can get cluttered with all the different devices and products we find ourselves using every day. Implementing a new organization style during bathroom updating can give the space an entirely new feel. Check out DIY sites for fun and functional tips on storage. If you don’t have a lot of floor space, consider moving your organization to the wall. Put up some shelves, a storage cubby, or even some stylish hooks to hang all of your hair tools and towels. 3. Cast a different light. If you have a whole weekend and a little bit of know-how, switching out lighting fixtures during bathroom makeovers in Lincoln, NE, is a great way to update your space. There are endless ways to give your bathroom a new look with the various fixtures available at home improvement stores and online. But, if nothing suits your fancy or you’re feeling brave, try creating your own fixture! No matter what your style, there’s a DIY for you. From country, to beachy, to industrial chic, you’re bound to find a fixture that matches your bathroom updating vision. Performing some simple bathroom updating can add value to a home, especially if you’re looking to sell. If you’re in a position to sell and just don’t have the budget or time to perform bathroom makeovers, an alternative to spruce up the space is bathroom staging in Lincoln, NE. Bathrooms already have built-in fixtures and furnishings, but a bare bathroom looks cold and uninviting. By using bathroom staging, you can give an already sterile environment a warm feel when prospective buyers come through. Bathroom staging in Lincoln, NE, can allow people to get a sense of the real possibilities of any space. They’ll be able to imagine taking a relaxing bath or luxurious shower in a beautifully updated and staged bathroom complete with rolled towels and fresh robes. Taking just a little bit of time to freshen up your home can go a long way during the selling process. No matter how you decide to go about updating your bathroom, the most important thing to keep in mind is having fun! Play around with different styles, textures, and patterns. You never know what you might end up with.